Keep your outdoor grill in tip-top shape. All you need are a few inexpensive tools and a little bit of elbow grease. 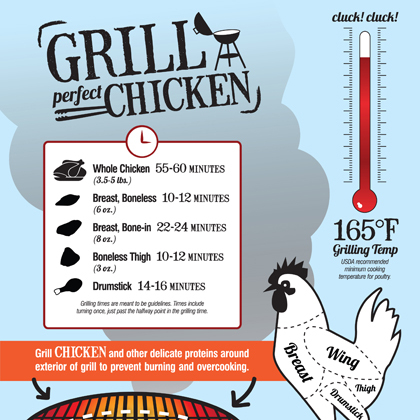 When the temperature outdoors rises, a jar of barbecue sauce, a package of fresh chicken, and a backyard grill offer an enticing alternative to cooking over a hot stove. Cooking out is casual and simple, but don't let that fool you into taking your grill's upkeep lightly. Knowing how to properly clean and maintain a grill will ensure great barbecues for years to come. • To prevent food from sticking, lightly coat the grate with a high-smoking-temperature oil such as peanut oil before turning on the grill. Cooking spray specifically for the grill works too." • Grills clean up best when warm. After cooking, scrub the grate with a wire brush or a ball of heavy-duty aluminum foil held between tongs. Use a brass wire brush on stainless steel grates and a stainless steel brush on cast iron grates. 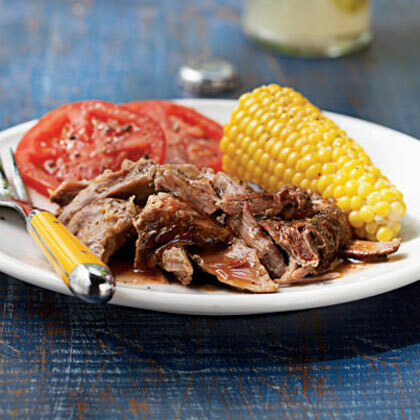 • When the grill is completely cool, wipe up spills with a damp paper towel. Grease and salt accelerate corrosion. • For charcoal grills, discard ashes after they have completely cooled. For gas grills, regularly clean or change the catch-pan liner. • Protect the grill with a water-resistant cover after each use. • Combine one part distilled white vinegar and one part water in a spray bottle, and then coat the interior of the grill. Close the grill lid and allow to stand for one hour. The solution will break up burnt particles, making them easier to remove with a brush. Wipe clean with a wet cloth. • Clean the grate with a sponge and mild dishwashing soap, or try an oven or grill cleaner, following manufacturer's instructions carefully. Note: Use oven cleaner only on the grate because it can damage painted surfaces. • To remove rust on the exterior, use a fine steel-wool pad to gently rub spots. Spray area with paint made for grills. Using proper precautions is just as important as cleaning. 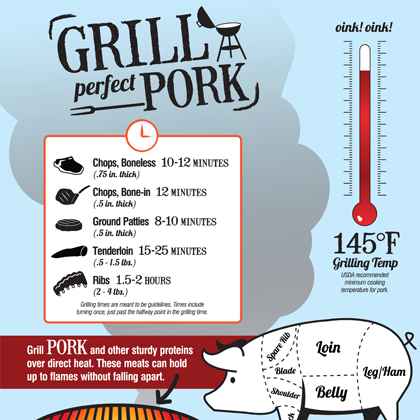 Take these steps to avoid common grilling mistakes. • Be sure to open the lid before lighting your gas grill. • Make sure your grill is at least 10 feet away from your house and any other flammable materials. Never fire up your grill in an enclosed area. • If you're out of charcoal lighter fluid, never substitute gasoline or kerosene. Once you start the grill, be patient. Do not add more lighter fluid to speed up the heating process. • Store propane tanks outside, sheltered from direct sunlight.